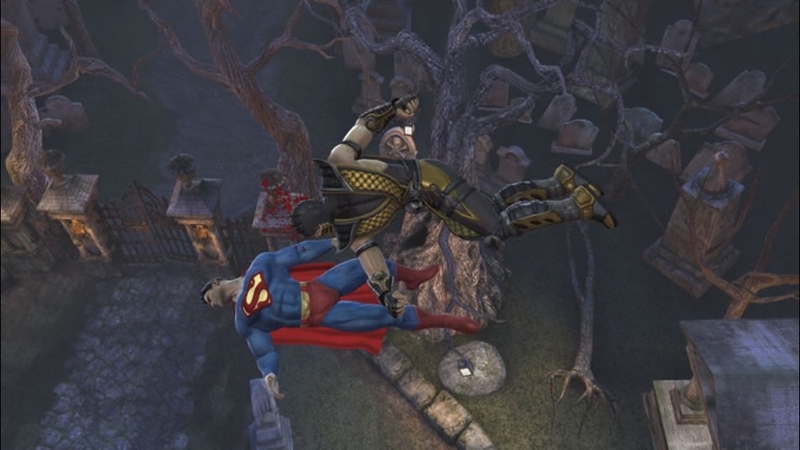 Mortal Kombat Returns and it brings along familiar faces in MK vs. DC Universe. How can this be? Don`t worry, all is explained in the game`s story mode which splits into two versions of the same overlaying plot. 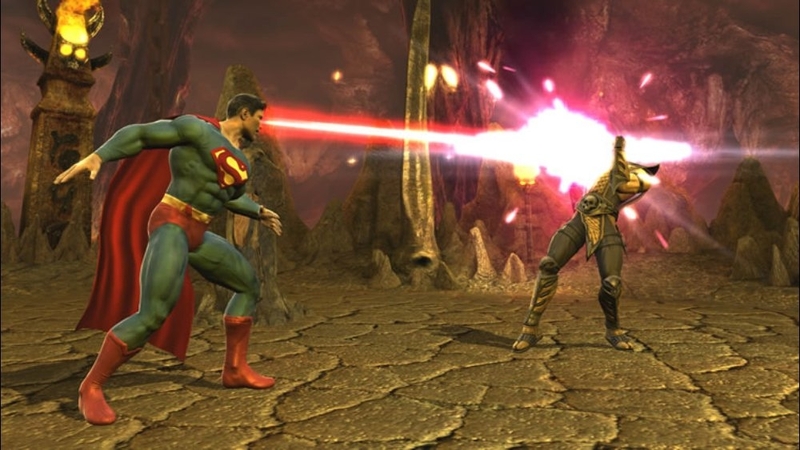 You'll see Batman fighting Scorpion, Raiden taking on Superman, and any and all combinations you could want in a game where universes collide. The roster clocks in at 20, ten for each side, with a few secret characters to unlock. The story is well written and understandable, but is also pretty short. Both the DC and MK sides last only a little bit over an hour and Completing the Arcade mode with each character can also be beaten pretty quickly as well. What has always been appealing to Mortal Kombat games were the fatalities, finishing moves that were violent, crazy, funny, and over the top. Mostly violent though. They are still in MK vs. DC, but are toned down in order to maintain a T-Rating. Toned down isn't a bad thing in this case, as this allows the Super heroes to have finishers of their own. 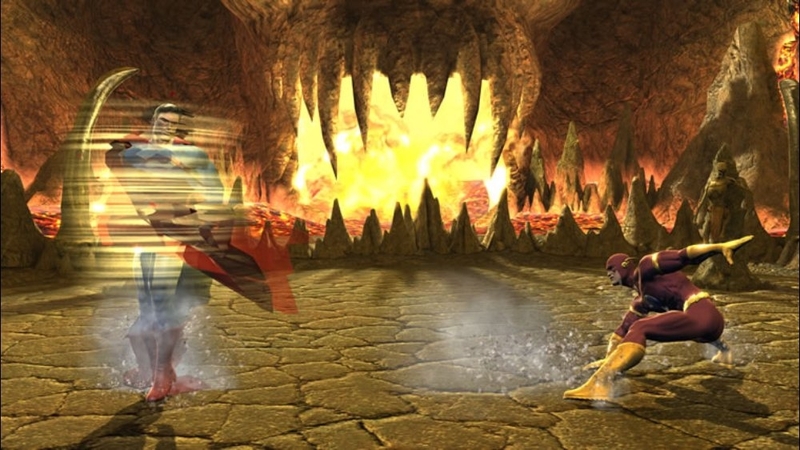 Named "Heroic Brutalities" for the good heroes, these moves still require quick and precise button presses in order to successfully pull a finisher off after a match. The Fighting engine is quite good in this game as well, even more defined than past popular Mortal Kombats. Gone are the weapons and styles of the PS2 and Xbox games, and now include traditional punches and kicks, along with a variety of special moves to perform. Playing online was fun too, with lag barely noticeable for me. What was an issue was finding a match and also finding someone with an equal skill to compete against. I was mostly matched up against players who had win streaks of 20 or more, and players far better than me. It was still fun to play with friends, but at least for me, quick matches always turned up with advanced players which might turn off beginners like me to hop online. Overall this is a great fighting game with familiar superheroes to choose from and many classic Mk characters. The game has a few problems here and there including no option to choose a level to fight on in multiplayer matches and has less extra options than other fighting games, which may decrease the time you have with the game, especially since there are so many new games to play. 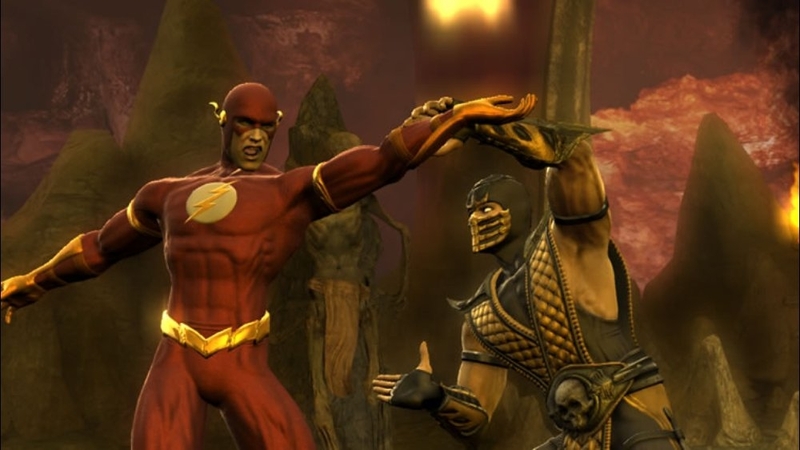 But if you love The MK series, this is a great addition to the fighting franchise.